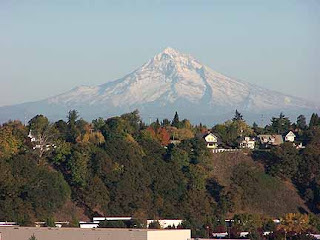 We're having some beautiful Fall weather and I just couldn't resist taking a telephoto image of Mt. Hood. This was taken a couple of blocks from our place, from what is called "Mock's Crest". This is a close-up of Haworthia bayeri (GM264), another striking haworthia. We have a limited number available in the nursery. Sometimes a close-up look can reveal beauty often overlooked. Take this image of an Agave attenuata which I have labeled abstract in green. I love this little Stapelia. And it doesn't stink much either! Normally we would not talk politics on this blog. However, we feel so strongly about this election this year that we simply felt compelled to do so. If someone is offended and decides not to do business with our nursery as a result, we're willing to take that risk. I encourage you to visit the Barack Obama web site (link to the right), especially if you are undecided. Pterodiscus speciosa: I love this plant, and the flower is just an added reason to grow it. Makes for a great succulent bonsai subject. 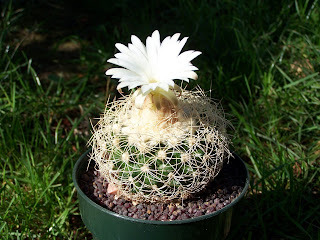 A recent photo of Discocactus zehntneri from our collection. 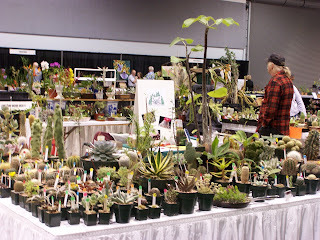 It was good to see some of you out at the Portland Home & Garden Show where we participated (along with Northwest Cactus) in the Oregon Cactus & Succulent Society Fall Sale. Attendance was way down at the show this year (perhaps a reflection of the economy?) but it's always good to visit old friends and find new people interested in succulent plants.